PDF Peace on Earth pattern...pattern designed by Mickey Zimmer for Sweetwater Cotton Shoppe. 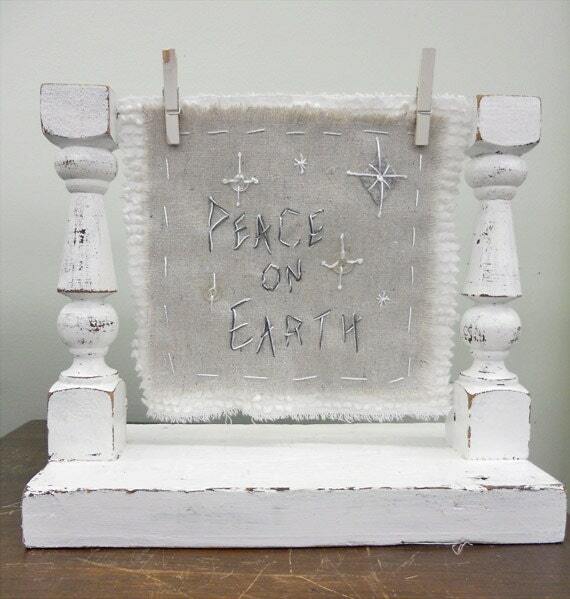 Peace on Earth is a wonderful little project in soft neutral greys and white. Delightfully shabby and wonderfully vintage. Measuring 7 x 7 inches, it will fit perfectly in stands or hang over your fireplace, on your tree, or from a cupboard knob.